Join us for stories, songs, play & crafts. Appropriate for kids 1-6 years old with a parent or caregiver. This group is for kids in 5th -12th grade. Register here, you will receive an e-mail with the free links to download these ebook titles. All books are listed as "YA" ideal for tweens, teens, and adults. Meet the Authors in person on August 2nd, 6-7:30pm. for interactive stories with Diane Edgecomb. Tumble Time Gymnastics for an active story hour with friends.
" A History of the 1950's and 60's Through Popular Song"
Relive (or experience for the first time!) the music that made America. 2018 Adult Summer Reading Program @ the Jonathan Bourne Public Library. Thanks to the Friends of the Jonathan Bourne Public Library, Inc. for funding. It's Elementary! Just for kids 1st - 4th grade! Come and explore the world of crafting your own stories! Different skills will be taught at each session, attend 1, 2, or all 3. 1st & 2nd graders need to be accompanied by a parent. The Skiffs are a high energy trio consisting of Sean Brennan, Bob Dunlap and Kathi Taylor that play a "Celtic Americana Stew of Roots, Rock, Blues and Greens". The band's creative interpretation of original and classic songs, driving rhythms, outstanding solos, infectious beats and three-part harmonies, combine to create a big sound and soulful performance, whether delivering a sensitive ballad or rocking the house. Come enjoy some great music as the Skiffs close out our summer concert series. Donation to the Bourne Food Pantry is your ticket into the show. Concert is held inside if weather is uncooperative. In this workshop, kids will be introduced to coding concepts and basic sound design using simple programs to record/modify their voices and design a beat box. & meet some awesome animals with Creature Teachers. Wednesday Readers Book Club meets the 3rd Wednesday of the month at 2pm. Next meeting will be on Wednesday, August 15th. Members will be reading The Cat's Table by Michael Ondaatje. New members always welcome. Maureen Boyle, best selling author! 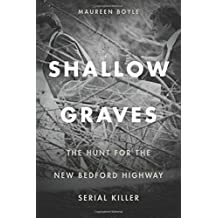 Come to hear about the hunt for the New Bedford Highway serial killer as Ms. Boyle describes her search. Book sale and signing follow the discussion. This class will be covering a few of our free online resources: Hoopla, Acorn TV, Qello, & IndieFlix. Bring your own device (iPhone/iPad, Android, Kindle Fire, or Laptop) to get started and follow along. You can download the Hoopla and RBDigital Apps from your app store in preparation for the class. Registration required. Click on the Register button below to sign up. Mystery Book Club usually meets the 4th Thursday of the month. Next meeting will be on Thursday, August 23rd from 6:30 - 8:00 pm. Members will be reading Down Just One Look by Harlan Coben. New members always welcome. Knitters' Book Club will meet on Tuesday, August 28th from 5:30 - 7:30pm. Their book selection is Elizabeth is Missing by Emma Healey. Non-knitters welcome too. This class will be covering our most popular online resource: OverDrive. Bring your own device (iPhone/iPad or Android device) to get started and follow along. You can download the OverDrive App from your app store (iOS and Android) in preparation for the class.